Join Jeanne and Stephen Luna of Luna Botanicals at LSU for an interactive Botanical Art Presentation and Workshop. 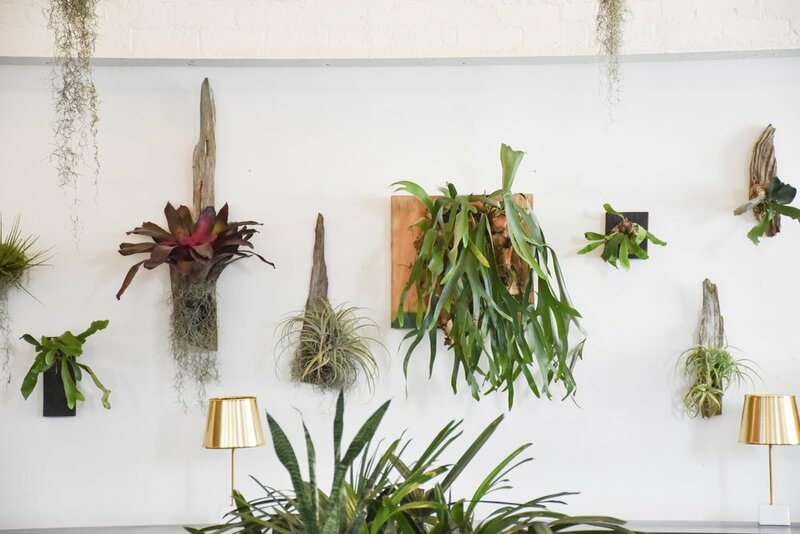 In this relaxing, yet stimulating workshop, you’ll learn how to mount your very own bromeliad, orchid or staghorn to a reclaimed wooden board. All plants, wood and tools are provided in the class! We will discuss the anatomy, growth patterns and propagation standards of these fascinating epiphytes. We'll offer tips on plant and natural wood piece selections, and teach you how to properly mount these works of living art. You’ll leave with your mounted living creation in hand, and the knowledge of how to nurture it in your own space for years to come. Registration required through LSU, click below to reserve your spot! Botanicals and creativity go hand in hand! Bringing life into the outdoor and indoor spaces in which we live breathes joy into our lives. Botanical art can be created from anything that comes from nature, which is the ultimate palette to work with. Designing with a living medium establishes a connection between plants and people during the creative process and into the future as nurturing is needed. Jeanne and Stephen will discuss their ideas for growing "gardens in the sky" in New Orleans and beyond, and the opportunities for botanical art expression in everyday life. You will learn about living walls, biomimicry, kokedama ("moss-ball" in Japanese), mounting tropical plants and floating tillandsias that all make for living art that is as compelling as it is thriving. Focusing on the wellness and healing aspects of connecting with nature, while utilizing the inspiration that nature brings forth, we can create spaces that give us a sense of genuine vitality. Jeanne and Stephen will demonstrate techniques they use at Luna Botanicals to create one of a kind pieces of botanical art. After their demonstration you will choose from a collection of plants including blooming orchids, wild bromeliads or structural staghorn ferns to create your own original art piece on reclaimed wood from the Mississippi River batture. You will leave the workshop inspired and with the horticultural knowledge needed to nurture your living art for years to come. Can’t make this class but want to plant with us?